What Is the Best Way for Recovering Lithium from Geothermal Brine? Geothermal brines, the naturally heated fluids found within the earth’s crust, have been utilized for thousands of years. Ancient civilizations used them for bathing and heating small rooms, and today they heat entire homes, pools, and greenhouses; are used agriculturally; and even produce electricity. As technologies advance and more is learned about the potential value of geothermal brines, the resource is gaining attention. A cleaner and more sustainable energy source than fossil fuels, geothermal brine can not only be used to power entire cities but can also be a potential source for other commodities. Since the brines come from deep within the earth and spend time collecting debris around volcanic formations and volatile tectonic plates, they come to the earth’s surface containing energy-producing heat as well as all sorts of minerals and metals that, if efficiently separated out and concentrated up, could provide geothermal energy companies a second—and significant—stream of revenue. Energy and mining companies, as well as governments around the world, are funding research initiatives to find the best methods for “mining” geothermal brines for the valuable metals they contain, which can include silica, manganese, zinc, and—what this article focuses on—lithium. Depending where the geothermal brine is located, it could potentially be rich in lithium, which is one of the main components used in rechargeable lithium ion–battery manufacturing. As the cell phone and electric car markets grow, and forecasters expect them to grow substantially, so will the demand for this valuable metal. So how are companies recovering lithium from these geothermal brines, and what is the best method for doing so? The potential for mining geothermal brine for lithium has been recognized for decades, yet many methods and technologies, which are still being tested and have yet to break through commercially, can be inefficient or costly. Membranes foul, pipes corrode, land or energy requirements skyrocket, and companies often find themselves frustrated with the many difficulties than can arise while managing these often-problematic streams. One of the methods researchers continue to pursue include using sorbents to adhere to the lithium for selective removal. Some sorbents developed can recover about 90% of the lithium present, including a recently tested lithium aluminum layered double hydroxide chloride sorbent, or LDH, as described in a recent study published by Environmental Science & Technology. During more recent testing, the LDH sorbent was made by intercalating aluminum hydroxide with lithium chloride, which made several [LiAl2(OH)6]+ layers in the sorbent. These layers were separated by water molecules and hydroxide ions that created the spacing requirements to allow lithium chloride to enter more readily than other ions, such as sodium and potassium. After the sorbent was loaded with the lithium chloride, it was washed with a diluted lithium chloride stream to remove unwanted ions, then washed a second time to unload the lithium chloride. As outlined in the study, this method doesn’t require an acid wash or other chemicals, as some sorbents do (such as delithiated manganese oxides or layered hydrogen titanates), so it is much more environmentally friendly and doesn’t create problematic wastes. Although the LDH sorbents are still being tested and have yet to be implemented commercially, researchers feel they look promising. Ion exchange (IX) systems are used across a variety of industries for water softening, purification, and separation purposes. These systems separate ionic contaminants from solution through a physical-chemical process where undesirable ions are replaced by other ions of the same electrical charge. This reaction occurs in an IX column or vessel where a process or waste stream is passed through a specialized resin that facilitates the exchange of ions. When contaminant removal needs are highly specific, such as pulling lithium from geothermal brines, many times IX, especially with chelating resins, is ideal. Researchers are also developing lithium-imprinted polymer resins for adsorbing the metal. When the lithium ion is adsorbed and desorbed, it leaves behind an imprint that can be used for specific selectivity, since the size, shape, and binding arrangement is recorded and kept on the polymer. To further complicate these studies, lithium recovery by ion exchange can change with a simple adjustment in pH, temperature, or stream composition (and the same goes for other lithium extraction methods), but researchers also believe this method can recover roughly 90% of the lithium present. The resin’s regeneration and binding capabilities are still being tested and recovery rates are expected to increase. Electrodialysis is also a form of ion exchange that can be used to separate out lithium from geothermal brine. It’s a membrane process that uses positively or negatively charged ions to allow charged particles to flow through a semipermeable membrane and can be used in stages to concentrate the brine. It is often used in conjunction with RO to yield high recovery rates. Their conclusion was that more testing needs to be done before this method can be scaled up to its full potential, especially when it came to using higher currents and voltages, which caused irreversible damage to the membranes. 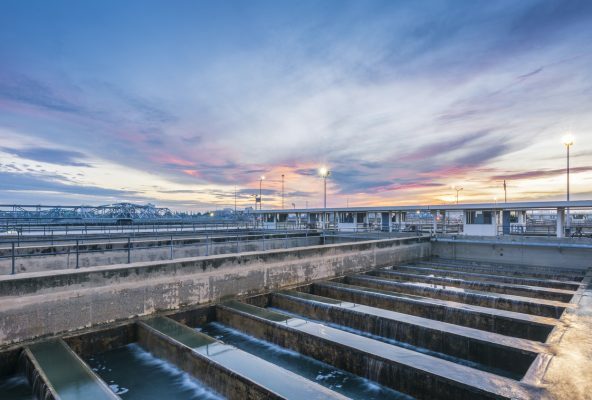 SAMCO has over 40 years’ experience in identifying appropriate brine and water treatment solutions to help lower costs and waste volumes while increasing lithium production yields. For more information or to get in touch, contact us here to set up a consultation with an engineer or request a quote. We can walk you through the steps for developing the proper solution and realistic cost for your brine waste treatment system needs. To learn more about SAMCO’s innovative technologies that we commonly apply for lithium production facilities, visit our page on brine and lithium recovery, softening, and purification.